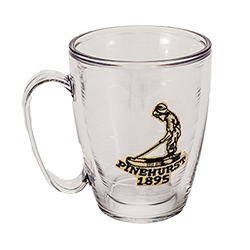 Pinehurst Tervis Mug - This double insulated mug holds up to 15 oz. of your favorite hot or cold beverage. This mug is microwave and dishwasher safe and greatly reduces condensation and sweating. Made in America.